Protecting a culturally and biologically significant population of Ancient Murrelets on islands in Gwaii Haanas by removing invasive rats in September 2013. Launched in 2009, the five-year Night Birds Returning project is a joint effort between Parks Canada and the Haida Nation to eradicate invasive rats from four islands within Gwaii Haanas and restore nesting habitat throughout the national park reserve – an area of global significance for seabirds. During Phase 1, a ground‑based eradication was carried out on small islands in 2011 and, in Phase 2 beginning this year, an aerial based eradiation will be undertaken. 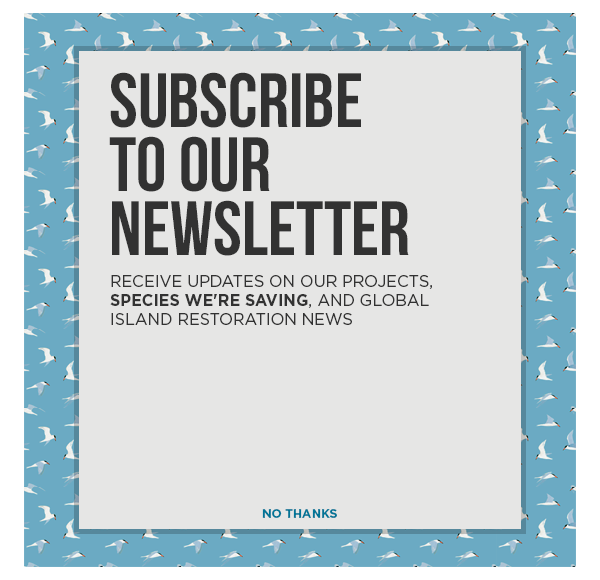 The program has been supported through partnerships with Island Conservation and Coastal Conservation, leading groups in the field, along with a new $400,000(US) contribution from the US National Fish and Wildlife Foundation – a non-governmental, charitable body established by the US Congress. Successful aerial eradications have helped restore critical habitat in vulnerable island ecosystems internationally and Parks Canada is drawing on technical expertise from experts in New Zealand and Mexico. With Phase 2 of this project, Canada and the Haida Nation are being featured at the Birdlife World Congress 2013 in Ottawa as leaders in global seabird conservation.